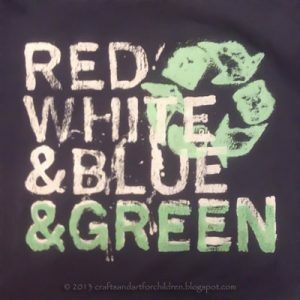 With Earth Day right around the corner and Big Brother into taking care of our earth, I thought it would be great to get Little Sister, who is preschool-aged, more acquainted with reducing, reusing, and recycling. We read the book titled, “The Great Trash Bash” by Loreen Leedy. I actually purchased this book from Goodwill awhile back so I used it as an example of how we don’t always need things to be brand new and that this book was still in great condition and even cost less! We decided to have our own ‘Trash Bash’ when my son’s friend was over. We brainstormed different ideas to make from our recyclables box (items I save instead of throwing away for use in crafts). His friend came up with lots of good ideas! However, due to time we couldn’t do them because they involved paint. 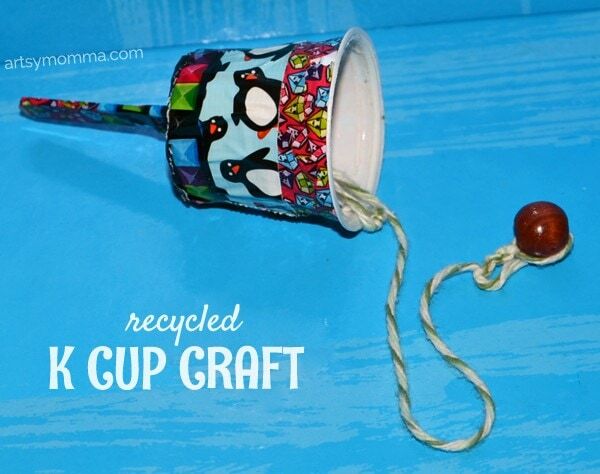 So instead I suggested a fun, recycled k cup craft toy. 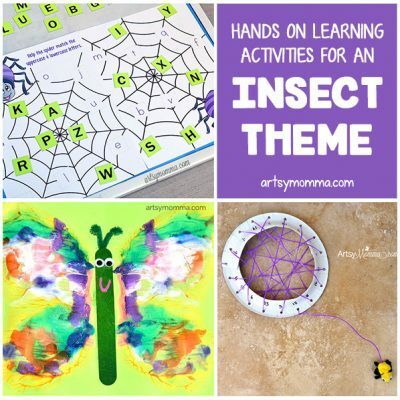 It’s fun to make homemade toys and games! *Please note that this post contains Amazon affiliate links to the book mentioned. 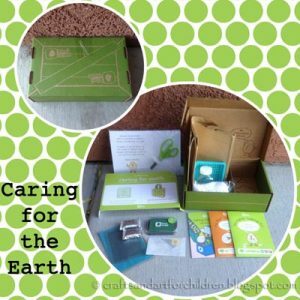 We also recieved free craft supplies via CraftProjectIdeas.com Please see our full disclosure policy here. This fun story takes you on an adventure of a town and its mayor. They know something isn’t quite right in Beaston and finally realize it’s because there is too much trash! 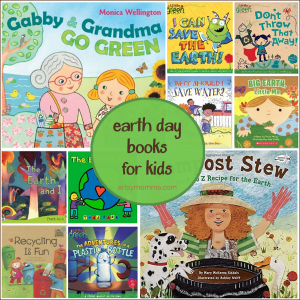 I pointed to the litter in the illustrations while reading the book to my preschooler which helped her understand that littering makes the beautiful earth look ugly. 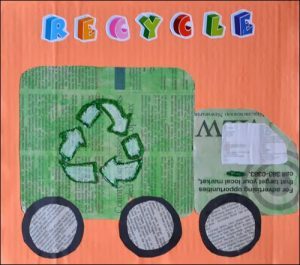 The citizens of Beaston figure out different ways that they can reduce, reuse, and recycle. We made comparisons to the ways they mentioned in the book and then talked about new ways we could reduce and/or reuse in our everyday life. The town of Beaston hold a ‘Trash Bash’ where everyone comes up with new uses for things they would have normally thrown away. 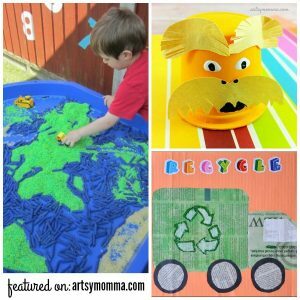 My preschooler and I talked about the different recycled crafts we had made together in the past and how some of them were actually useful making it better than buying something brand new. 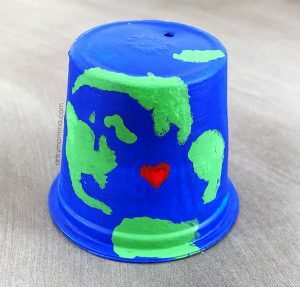 Use an empty and clean k cup/coffee pod or another small cup. 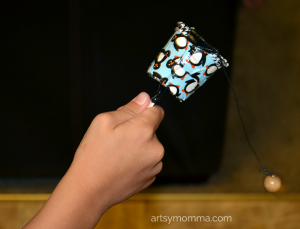 Decorate it with washi tape, duct tape, markers, or paint. Poke a hole in either the side of the cup or use the hole on the bottom that your Keurig poked through. Next is adding the string. 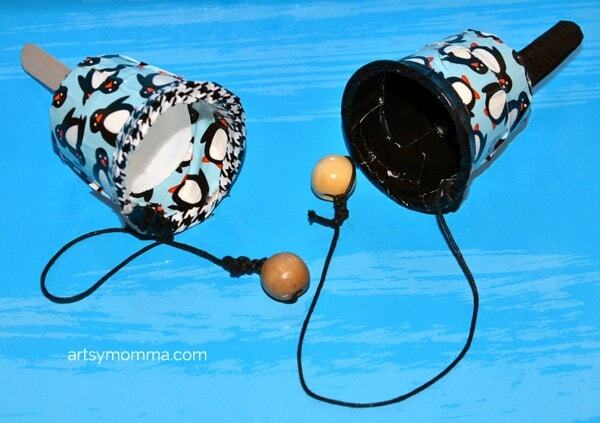 Use braiding cord, string, or elastic cording to tie one end to the hole in the k cup. On the other end, tie a jumbo bead or something else of similar size. Use a scissors or craft knife to cut a slit in the bottom. Poke a craft stick through the slit. 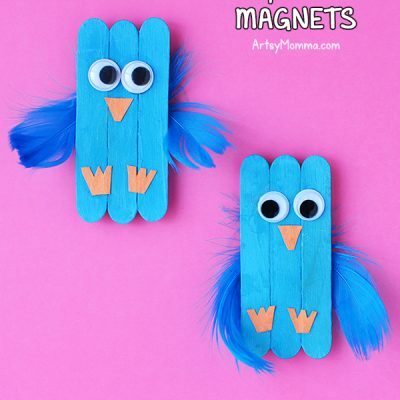 We used mini craft sticks (because they’re cute!) however, regular Popsicle stick size would work too. Hold it in place with duct tape on the bottom. My son’s kept going slightly crooked so I taped his on the inside as well. All 3 kids loved wrapping the tape around and cutting our mini tapes with the jagged edge. It was the only time the whole night that my kids and their friend were somewhat quiet!!! 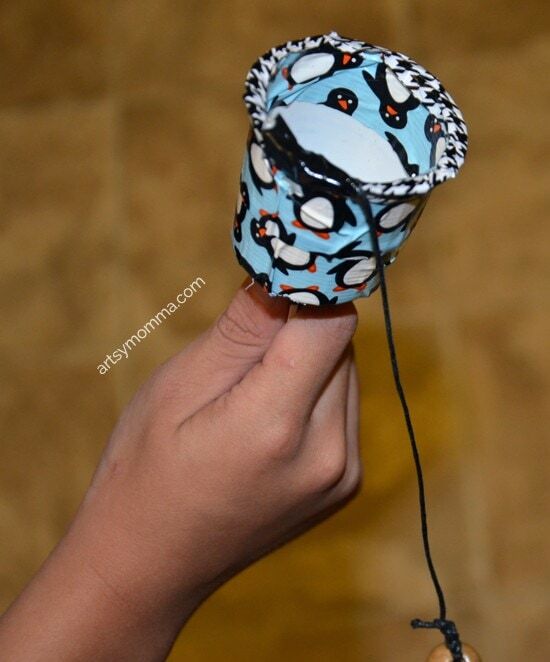 They had fun trying to get the bead inside the cup making it a fun, frugal homemade toy to play with! 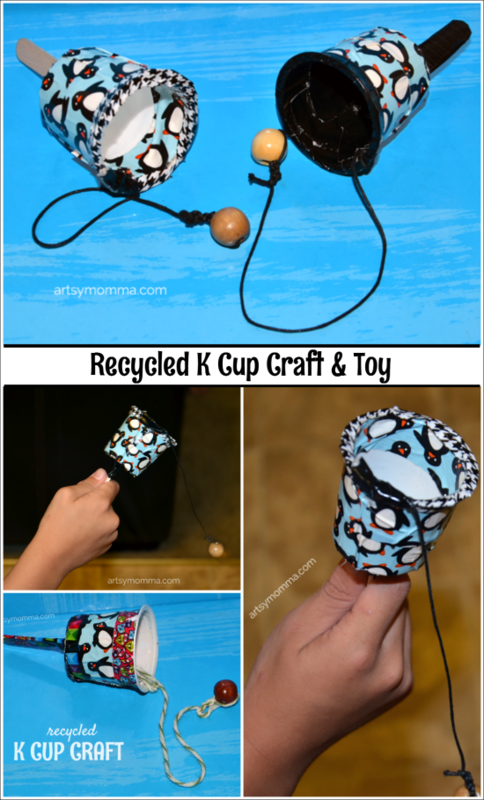 The Matierial of the Month over on CraftProjectIdeas.com is k cups/coffee pods. 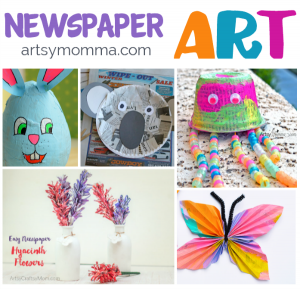 They have featured many other k cup craft ideas including adorable animals! The wooden beads, braiding cord, and mini craft sticks were sent to us free for using in our craft posts and sharing with all of our readers. You can purchase their products at Walmart in the craft section. It will say Horizon Group on the back side of the packages. 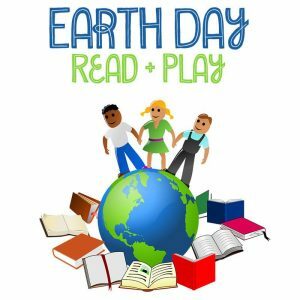 If you’re interested in more eco-friendly books for kids, we shared an Earth Day book list that includes many different topics such as composting and the importance of saving water. 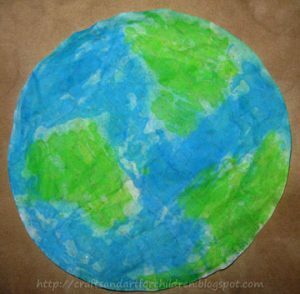 Stop by our other blog to see fun handprint crafts that are perfect for Earth Day! Great idea! 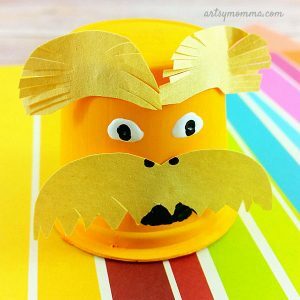 My girls love creating their own games and toys and this is a nice recycling project for them to make. Thank you for sharing!